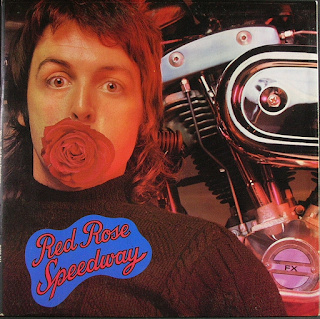 After a quirky series of solo releases in the experimental, somewhat indulgent "McCartney", the slightly better "Ram" and the bucolic "Wild Life", this was Paul McCartney's first "proper" rock album made with a full band and featuring a lot more power and attack in comparison with the airy, whimsical nature of parts of the earlier albums. This was the first album to properly establish "Paul McCartney & Wings" as a credible entity - a valid band. "Big Barn Bed" is a loose, bluesy rocker that has a bit of feel of a studio jam about it, but it has some appeal, including some impressive acoustic guitar interplay and a thumping rock ending. The beautiful "My Love" is next and is well known by all by now. It is still plaintively enchanting though, one of McCartney's best Wings-era songs. It has a sumptuous percussion and bass sound to it as well, plus its killer guitar solo. "Get On The Right Thing" has an addictive bass intro and a Beatles late sixties rock groove to it, in a sort of "Abbey Road" way. It rocks, quite considerably. Linda's backing vocals are a bit screechy, it has to be said, though. "Only One More Kiss" is a catchy, country-ish number in what was by now a typical McCartney style, but it remains the right side of whimsy to retain a reasonable amount of credibility. "Little Lamb Dragonfly" is another one seemingly trying to catch that "Abbey Road" vibe. It is like three songs in one, with several changes of pace and the bit where he sings "see me waiting" just sounds like something from "Abbey Road's" old "side two". It is a beguilingly attractive piece though, and no doubt had it been recorded by The Beatles in 1969 it would have bee hailed as a work of genius. As it is, it was seen by many as poor old Paul McCartney vainly trying to recapture the past, which was a bit of a pity. Even the "la-la-la" fade out refrain is just somehow effortlessly singalong, showing that he still had it, despite the many contemporary critical doubts. 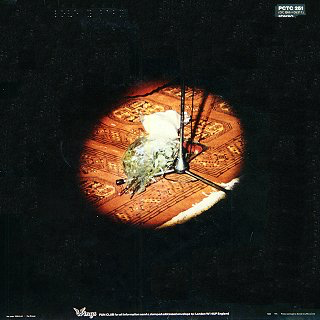 "Single Pigeon" is a pleasing short melodic tune. Yes, it does have a bit of a feeling of a throwaway studio demo about it, but it works its way into your consciousness before you know it. Then it finishes, unfortunately. "When The Night" has that sound that would soon become that of "typical Wings". It provides hints as to what was to come on "Band On The Run". "Loup (1st Indian On The Moon)" is a thumping, sonorous instrumental, featuring some weird sounds half way through, almost reggae in places and some powerful John Bonham-style drums. You can't help but think, however, that it was just the band jamming in the studio, and it shouldn't really have found its way on to the album. Despite that, I still find myself singing the monk-like chant refrain hours after listening to it. The final track, is another "Abbey Road" nod in that it is a medley - the upbeat, rock of "Hold Me Tight", the trippy, Beatles-esque "Lazy Dynamite", the acoustic, lively and catchy "Hands Of Love", complete with a voice imitating a kazoo, and "Power Cut". The latter is the best of the four and is contemporarily relevant (the country had enforced power cuts at the time). This has not been a bad album at all, and is worthy of more than a few listens. I do feel, though that the "bonus" tracks - the rocking, sexually saucy "Hi Hi Hi" and the cod-reggae of the lilting "C Moon" should both have been on the album, possibly at the expense of "Loup".